If you are expecting, a new mom or have a special friend expecting, this is the perfect prize pack for you! We are giving away a $30 Baby Tots Den gift certificate. 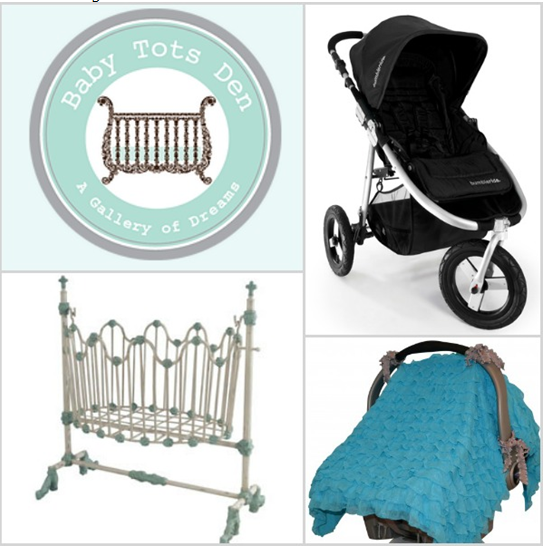 They offer elegant baby furniture, luxury bedding and unique accessories for your designer baby. Giveaway is sponsored by Sprinkles Media Marketing. Giveaway ends June 22th at 11:59pm, open to US residents, ages 18+. Only one entrant per household, per address. Winner is subject to eligibility verification. Enter using the giveaway form below. Good luck! I am in love with the Chelsea cradle. the dark wood would go great with the furniture I already have. The Classic Changing Chest would be wonderful to have. I love that the top is deep enough to keep the baby from rolling off. The luxe dot baby blanket in little giraffe is adorable!